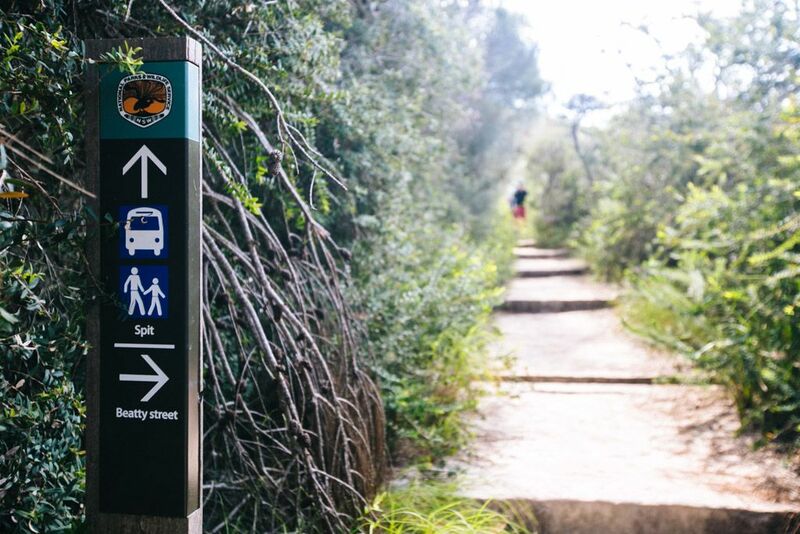 After the Bondi to Coogee coastal walk, the Manly to Spit harbour walk is Sydney’s second most popular walking track. 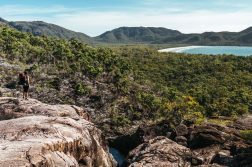 It’s nearly twice as long (10km) and lacks a dramatic ocean coastline, but its landscapes and views are much more varied. Admittedly I left this walk til my very last day in Sydney, but I promise that has zero to do with its quality. 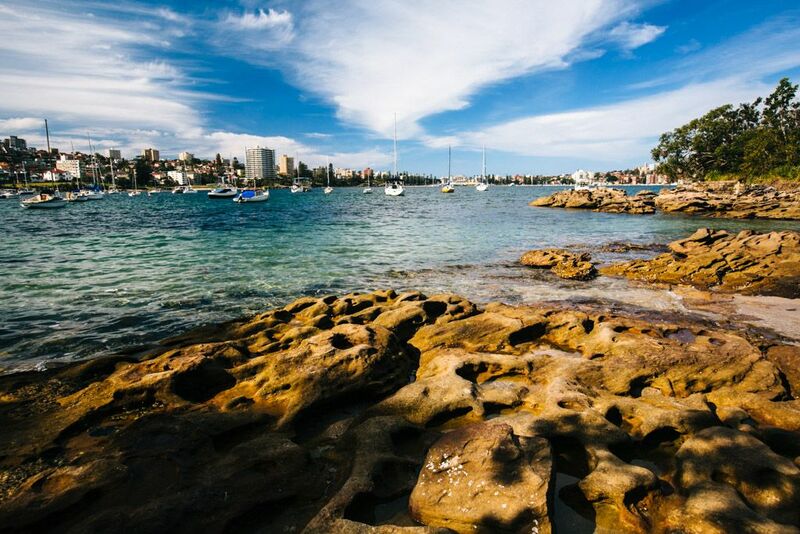 The Manly to Spit walk is one of the best walks in Sydney. 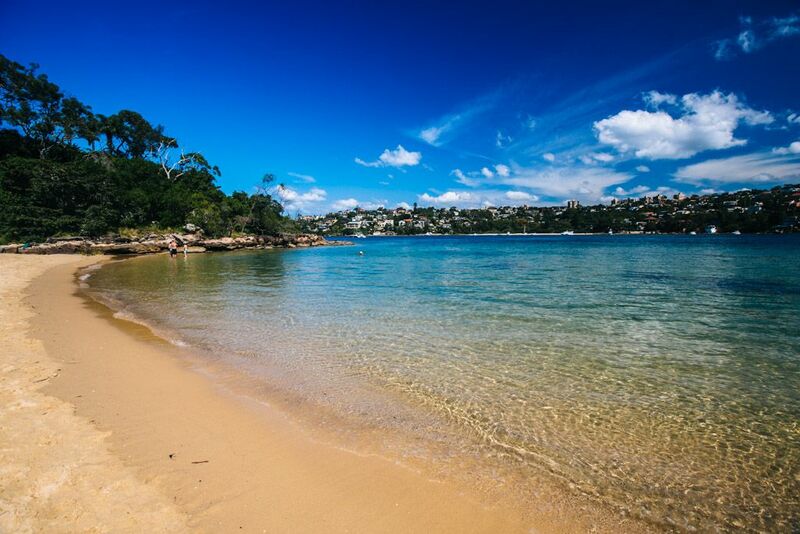 If you do it, I recommend starting the walk at The Spit – it’s better to end at Manly because then you can hang out there afterwards and cool off with a swim or grab dinner/drinks. 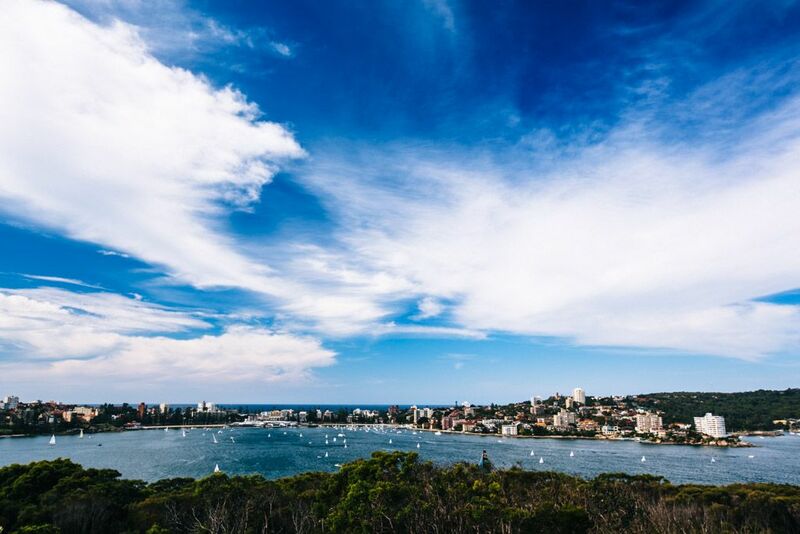 Start the Spit to Manly walk by crossing Spit Bridge, admiring fancy harbourside houses on one side and flashy boats on the other. If you’re endlessly amused by ridiculous things like I am, you might also LOL at the name Spit. 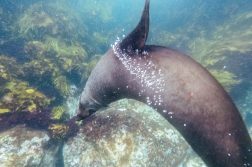 Early on you’ll pass by several gold sand beaches, a few of which are only accessible by boat. 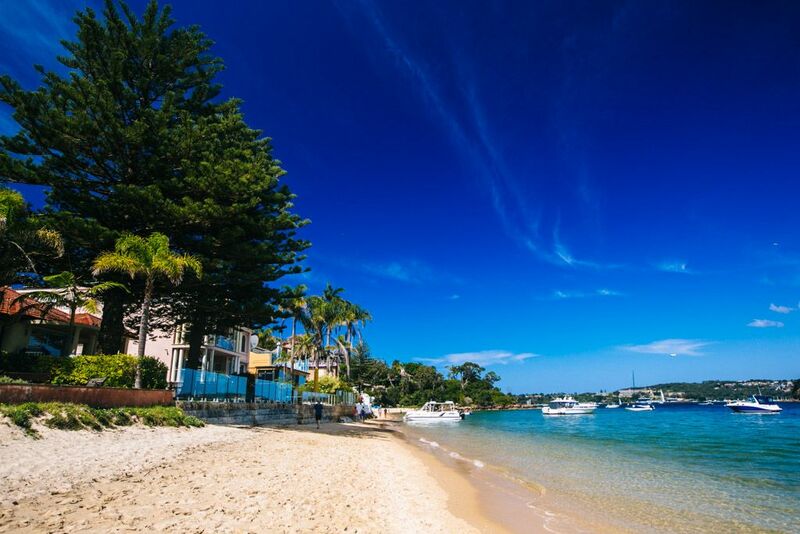 Clontarf Beach is the largest and most popular of the bunch. Anna and I couldn’t help but ogle the sleek million dollar houses that were literally RIGHT ON the beach – as in, step out your front door and hello, sand! 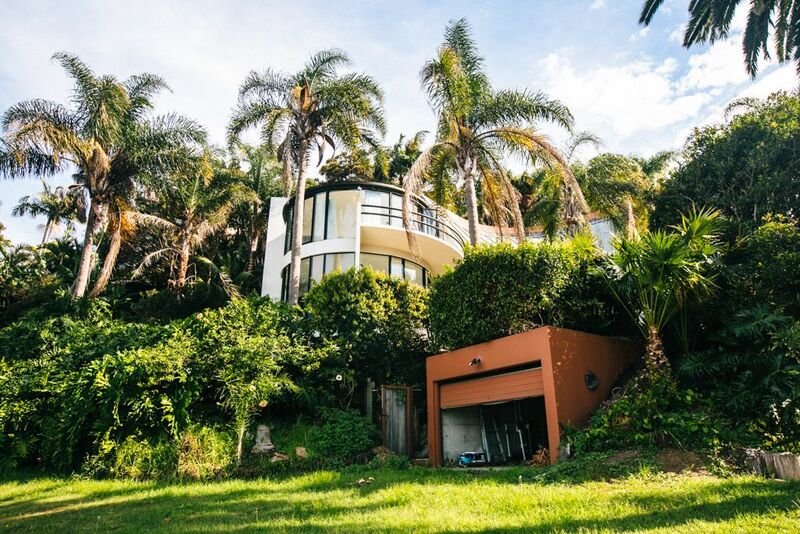 Million dollar homes with million dollar views. 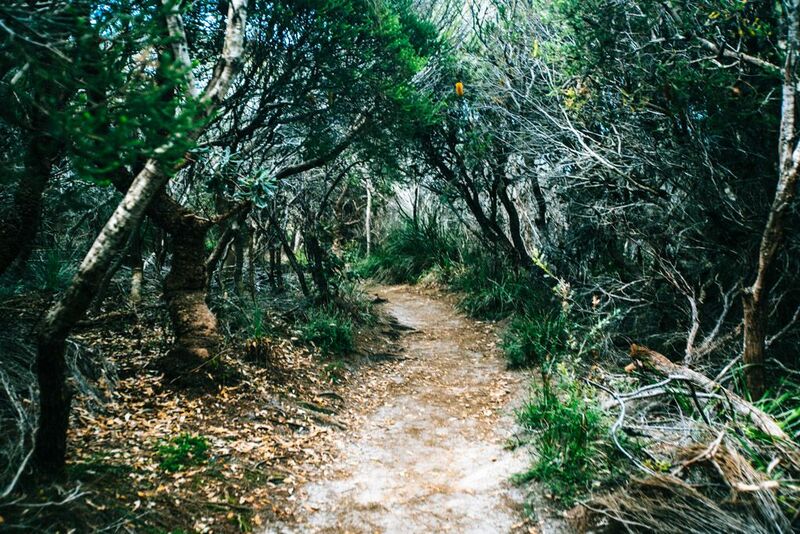 One way the Manly to Spit walk is different from most other Sydney Harbour walks is that its track is very wooded. You’ll be walking through the trees quite often – sometimes even without a view of the water! There are some side tracks that lead to alternate views or exit points, so at times it almost feels like a woodsy maze. 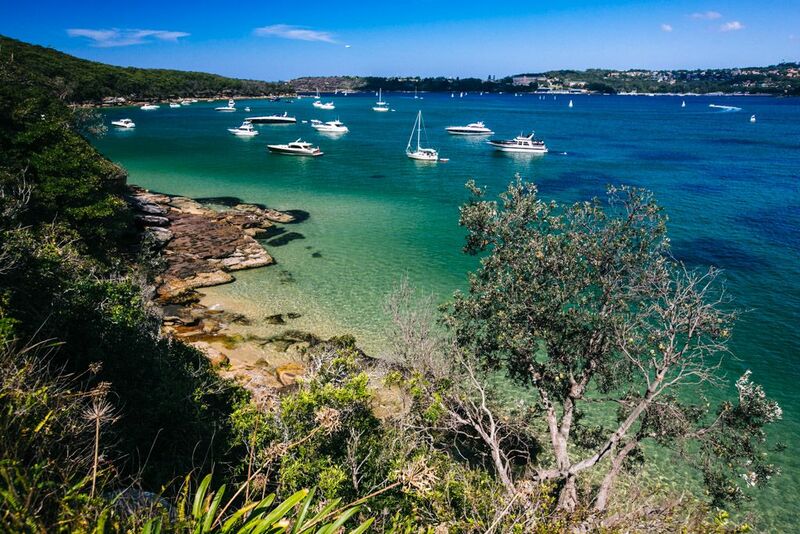 The side track to Grotto Point yields a view of Balmoral Beach from across the harbour. 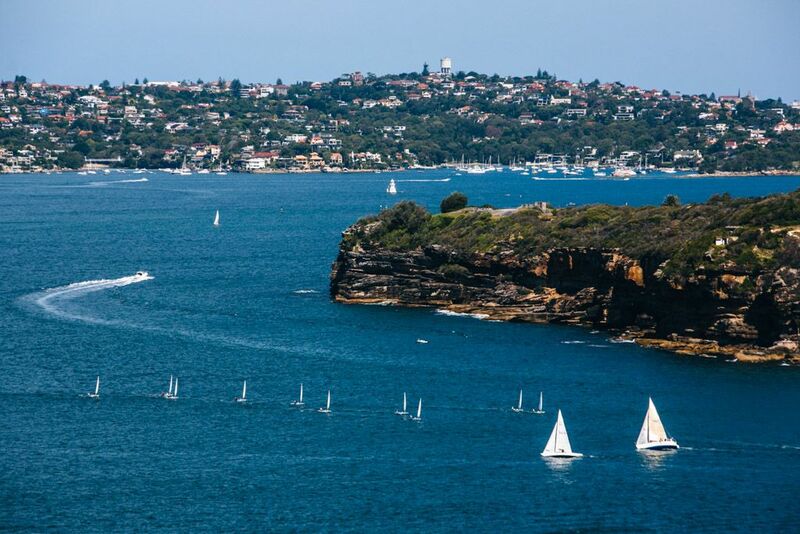 But then you reach a lookout point over Sydney Harbour and suddenly you’re centered again. 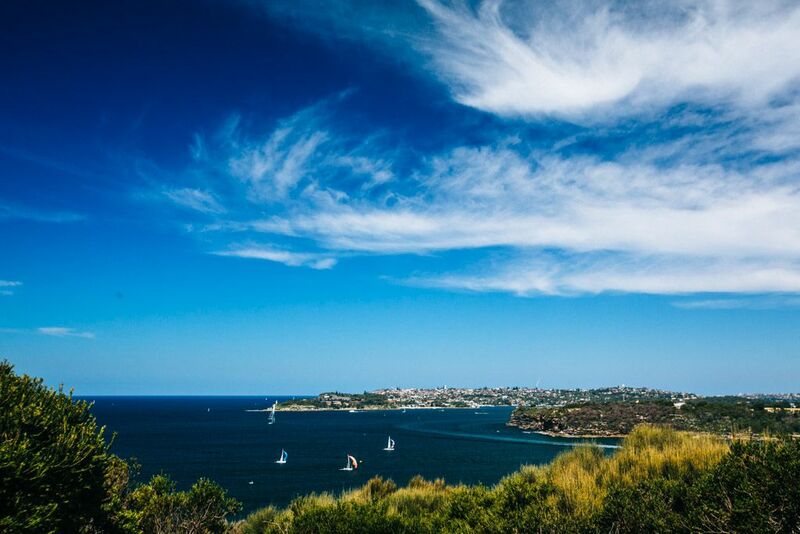 You can’t see the Sydney Harbour Bridge or the Sydney Opera House from the Manly to Spit walk, but you can glimpse Middle Head and then Watsons Bay and Rose Bay beyond it. And as always, sailboats for days. 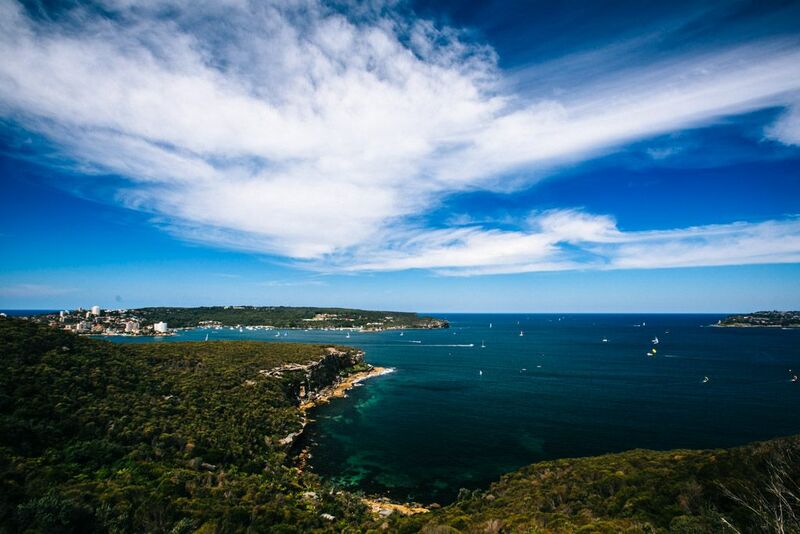 Shortly after the trail curves around the harbour towards Manly, you’ll come to a gem of a view over Crater Cove. There is also a side track you can take that leads down to Dobroyd Head, but unfortunately we didn’t have enough time to do this bit. Most of it is wooded rather than along the coast, so if you’re only in it for the harbour views you can probably skip this side track. 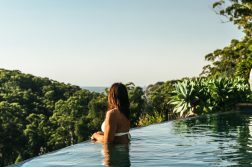 Towards the end, the trail descends to Forty Baskets Beach, where you’ll see more fancy waterfront property that will make you want to marry a millionaire Sydneysider. 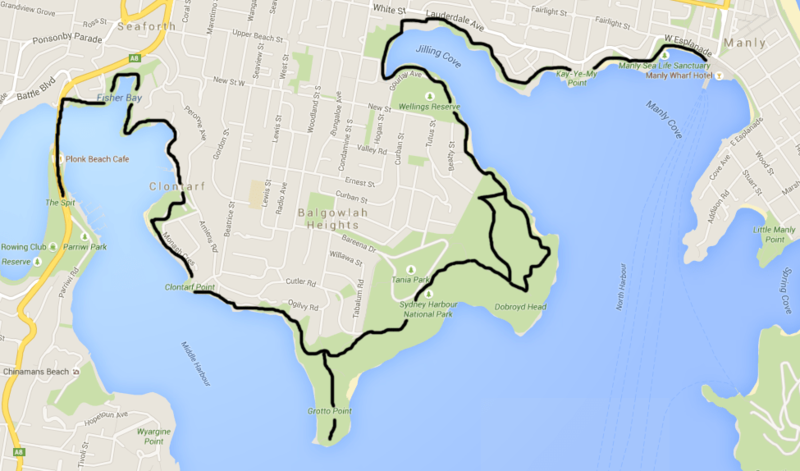 These fancy houses line the remainder of the track around Manly Harbour. If you fancy a swim but don’t want to battle the surf at Manly, the Fairlight Tidal Pool beckons along this final stretch. 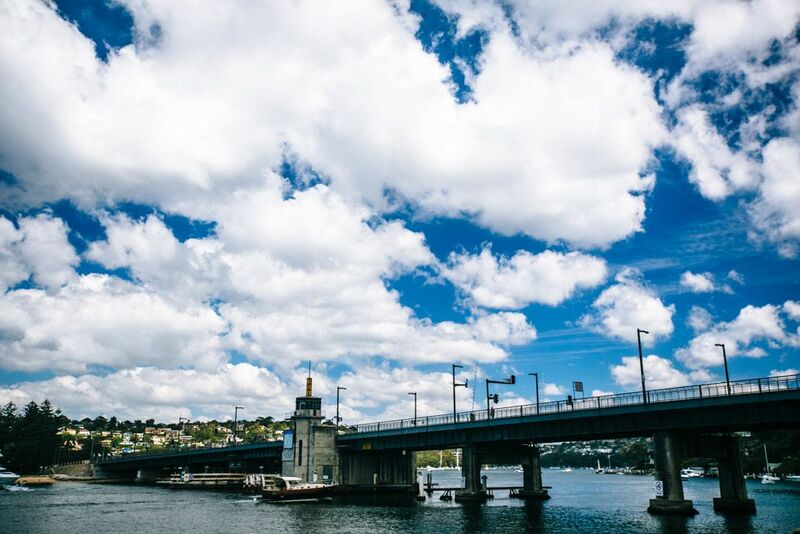 How to get there: Take a bus from Sydney CBD to Spit Junction to reach the start of the walk, then take the ferry from Manly to Circular Quay to get back to Sydney.